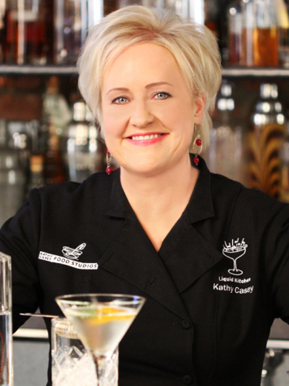 At Kathy Casey Food Studios® - Liquid Kitchen® we provide creative cocktail, beverage, food and concept design as well as consumer-recipe development and cookbook testing and editing for a variety of clients. Check out our consulting services. Cook Up Some Fun!® with Kathy Casey today! Kathy's cocktail show, Kathy Casey's Liquid Kitchen® highlights exciting cocktails influenced by the kitchen, showcasing Kathy's expertise as both a chef and mixologist. Watch her show here. Read Kathy's blog here, Dishing with Kathy Casey, the BLOG! Or click the image below to read about Kathy Casey's newest restaurant at Sea-Tac Airport - Lucky Louie Fish Shack!